“Calendal was just a fisherman; love forged him into an heroic figure…. To win the heart of his beloved–the beautiful Esterelle–he took on Herculean tasks, in fact, those twelve famous labours paled by comparison to his One time, having it in mind to get rich, he invented some ingenious fishing devices to bring all the fish of the sea into port…” starts Mistral’s poem. Mireille and Calendal are more than just names: they are the Illiad and the Odyssey of Provence. Any Provençal worthy of the name would have read their story several times in his lifetime. 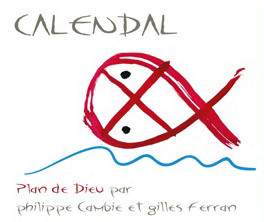 Calendau is the Provençal equivalent of the French name, Noël, which used to be given to each child born on Christmas. In early 2006, we bought a tiny estate of 1 ½ hectare in Plan de Dieu, which we expanded in 2008 to 4,50 hectare (11 acres). It is situated on large alluvial terraces of the Riss period, topped with Quaternary limestone gravel resting on a bed of blue clay of the Pliocene period. We use agricultural methods that are totally respectful of both the environment and the soil. The plots are 50% old Mourvedre and 50% very old Grenache trained in bush vines and entirely tilled.The vinification takes place in two small cylindrical tanks of 50 hectoliters with manual punch-downs in order to respect the grapes as much as possible. Production is 14,000 bottles and some magnums. Calendal is aged 12 to 14 months in one year barrels.I hope that the love that was given this wine will make it not necessarily a hero (like Frederic Mistral’s Calendal), but a beautiful wine, a wine as desired as Esterelle, cultivating scarcity. 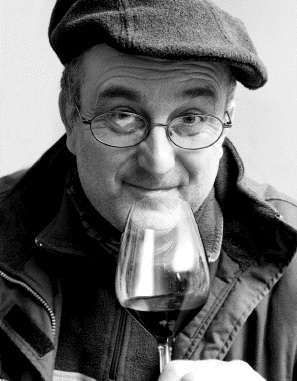 I hope that the love that was given this wine will make it not necessarily a hero (like Frederic Mistral’s Calendal), but a beautiful wine, a wine as desired as Esterelle, cultivating scarcity.